Crazy for Cookies and More: Strawberry Cream Cheese Bites and a Giveaway!!! Strawberry Cream Cheese Bites and a Giveaway!!! 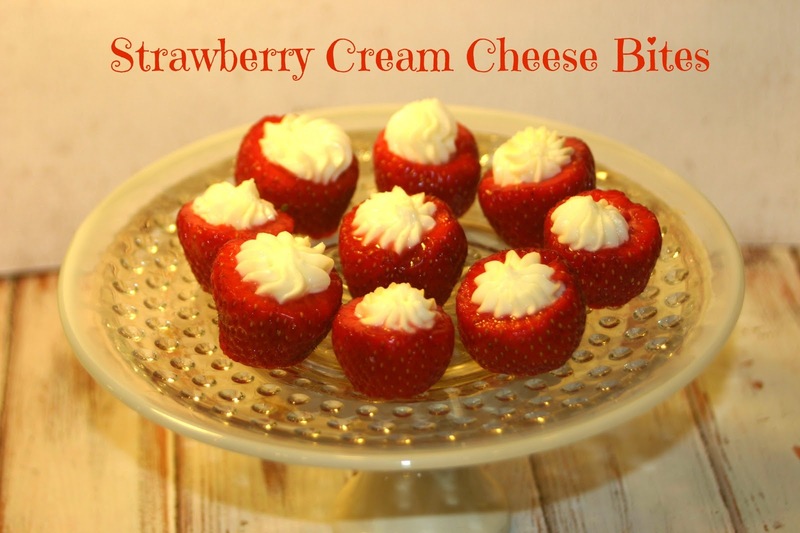 These Strawberry Cream Cheese Bites are cute and super easy to make. You just need to take the stem off the berry, take sum of the center out and cut the tip off so it will sit flat. Then you make my cream cheese dip (click here for the recipe) and you can either spoon some of the dip down in the strawberry or do as I did and using a cake decorating tip and pipe some of the dip down into the berry. Before we get to the fun stuff, we'll need to cover some basic legal stuff with you. For the full disclosure, please see the rafflecopter. This giveaway is open to all US and International residents. However, international residents will receive a $450.00 Amazon eGift Card in lieu of the camera or mixer. The winner will choose either a Canon Rebel T3 DSLR Camera ($450 value) or a KitchenAid Mixer ($350 value) plus a Amazon eGift Card. The gift card only comes with the Mixer. The winner will have 48 hours to respond to Julie from This Gal Cooks via email. If the winner fails to respond within this time frame, another winner will be chosen. The winner will be announced on Monday, June 24th. This giveaway is not open to anyone participating in the giveaway (the hosts) or their immediate family members.